2 Ct Crystal Ball Sterling Silver Earrings Just $4.98 Shipped! You are here: Home / Great Deals / 2 Ct Crystal Ball Sterling Silver Earrings Just $4.98 Shipped! I like the style, the color selection and the size of these studs. Pick up a pair of 2 Ct Crystal Ball Sterling Silver Earrings for Just $4.98 Shipped! 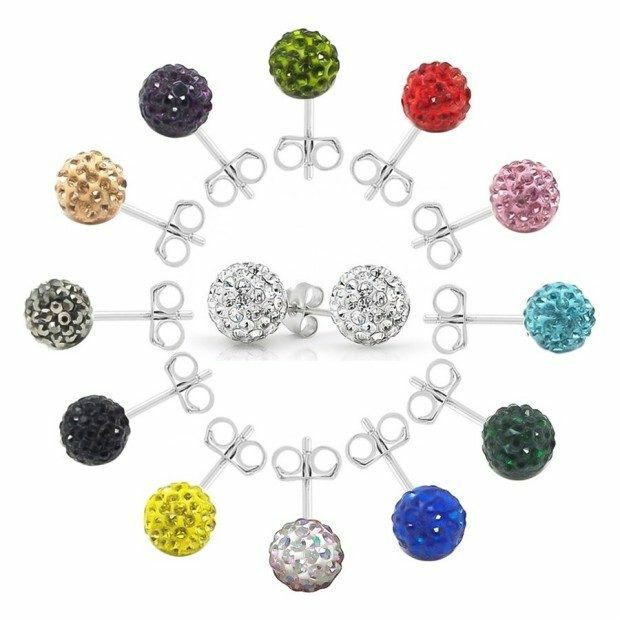 Rhodium plated Sterling Silver and over 10 color to choose from. The rainbow color is really fun! !